The first meeting of the new term was attended by 17 people. It began with a talk by Mavis Robinson on how, on behalf of the SPC, she reads to a partially-sighted group in Bromley. One thing has led to another and she now also reads to a lunchtime gathering at St. Marks Church together with Christine Pope. Members of both groups have expressed their wish for the readings to become a regular event. The range of poems read was, as usual, wide with Milton, Blake, Wordsworth and Hardy well represented but also Kate Foley, Esther Morgan and a local poet who had a connection to Ripley, Ted Walter. This entry was posted in Shortlands Poetry Circle and tagged anne stewart, Christine Pope, Isabel Bermudez, Mavis Robinson, SPC, St. Marks Church on September 16, 2015 by shortlandpoetrycircle. 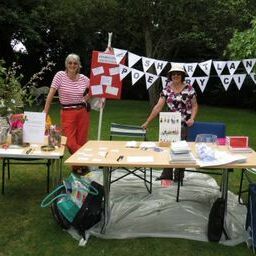 The weather was fine when Anne and Diane arrived to set out our table in the garden of Ripley Arts Centre. Others came to help as they always do. and some people did after enjoying the examples. Or, they could add to a line written on one side of a bookmark. We even had a calligrapher at hand to celebrate their creativity. 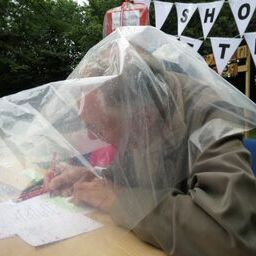 When the rain came he continued his work under a plastic sheet. greater awareness of the Shortlands Poetry Circle. 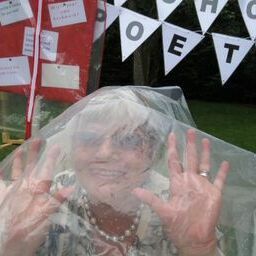 This entry was posted in Ripley Arts Centre, Shortlands Poetry Circle and tagged anne stewart, Diane Chorley, ripley arts center, Ripley Arts Centre, shortlands poetry circle on September 16, 2015 by shortlandpoetrycircle. This entry was posted in Competitions, Poetry, Poetry Events, Shortlands Poetry Circle and tagged Open Poetry Competition, Poetry performance, Ruth O'Callaghan on September 10, 2015 by shortlandpoetrycircle.